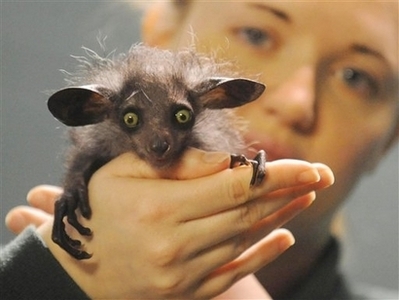 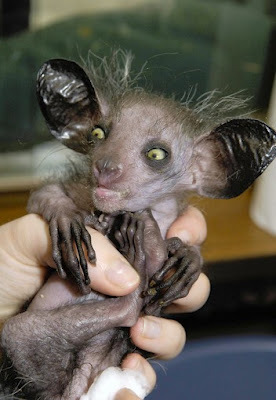 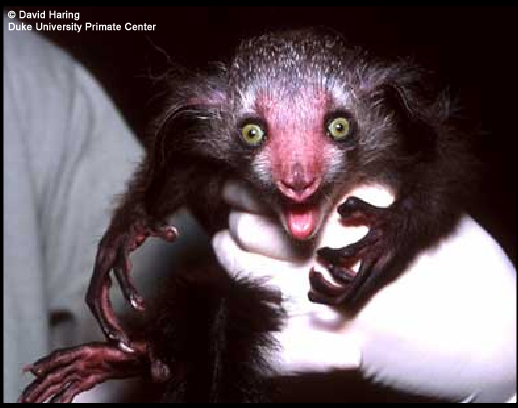 The aye-aye (Daubentonia madagascariensis) is a lemur, a strepsirrhine primate native to Madagascar that combines rodent-like teeth and a special thin middle finger to fill the same ecological niche as a woodpecker. 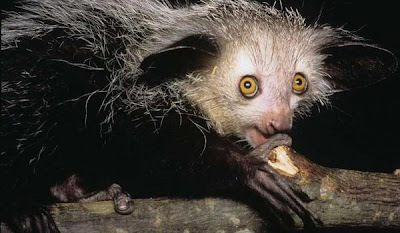 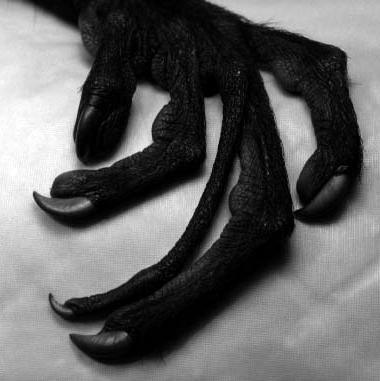 It is the world's largest nocturnal primate, and is characterized by its unusual method of finding food; it taps on trees to find grubs, then gnaws holes in the wood using its forward slanting incisors to create a small hole in which it inserts its narrow middle finger to pull the grubs out. 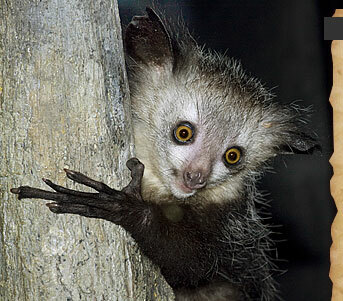 This foraging method is called percussive foraging. 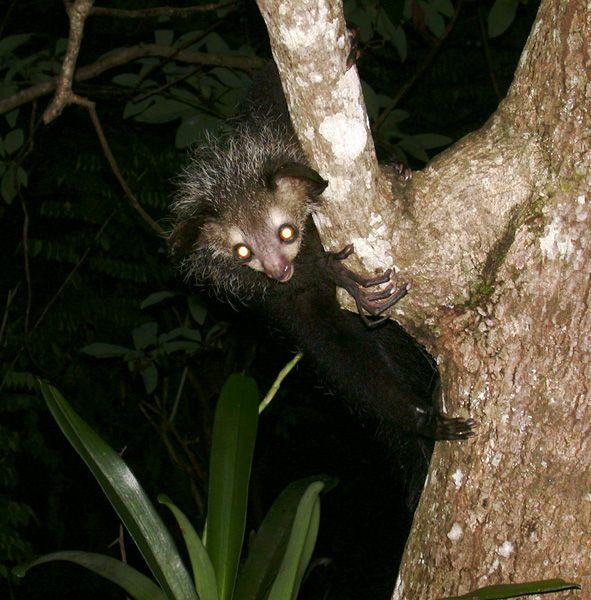 The only other animal species known to find food in this way is the striped possum. 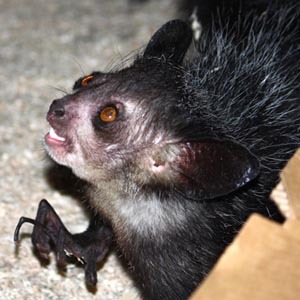 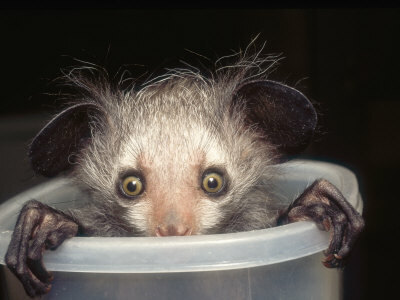 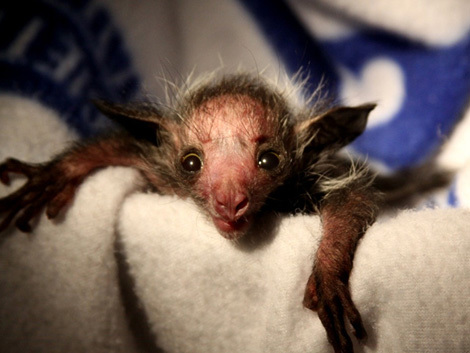 From an ecological point of view the aye-aye fills the niche of a woodpecker, as it is capable of penetrating wood to extract the invertebrates within.